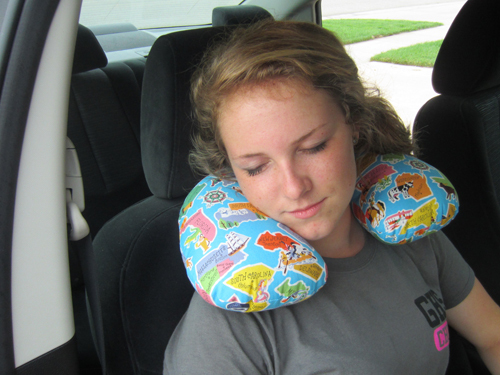 What’s better than a comfy neck pillow when you travel? One that you can make with just the right degree of softness/firmness. 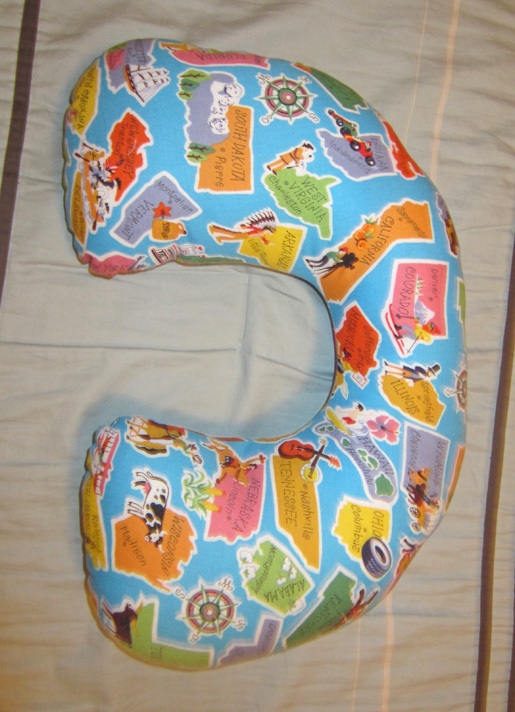 Quick and easy, you can make this pillow in different sizes and fill it to each traveler’s preference. BTW, fun fabrics are a must! Step one: Cut the fabric. 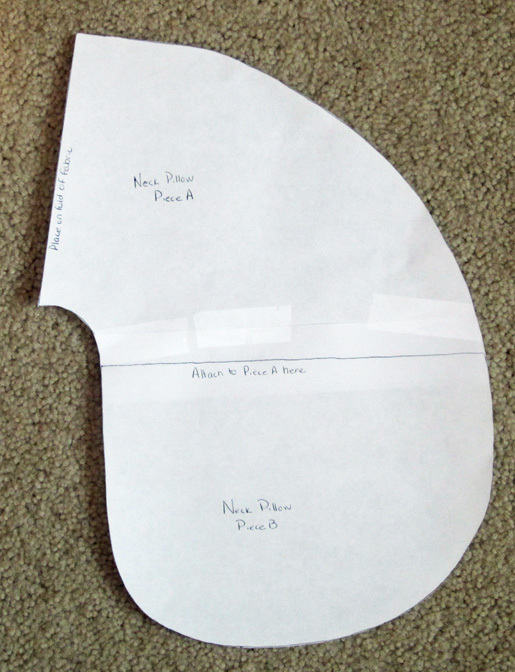 Download and print pattern pieces A and B. 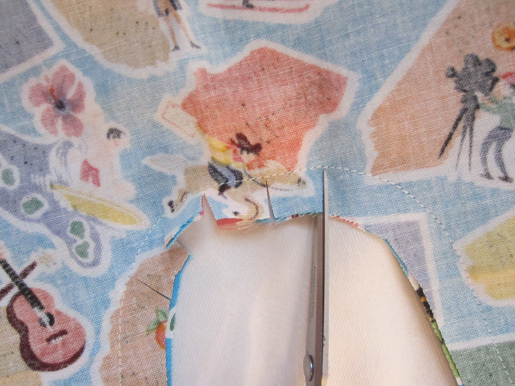 Tape the pieces together as indicated to make one piece, and then cut out the paper pattern piece. 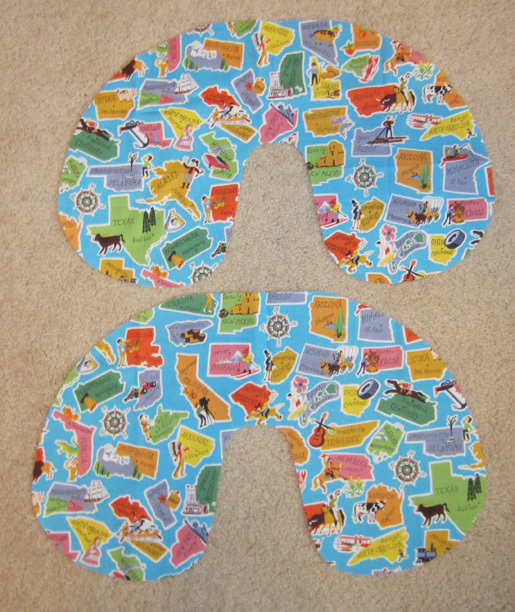 Using the Neck Pillow pattern piece, cut two pieces from the fabric. Note that one edge must be placed on the fold. Step two: Make the pillow cover. Place pillow pieces right sides together, matching raw edges. 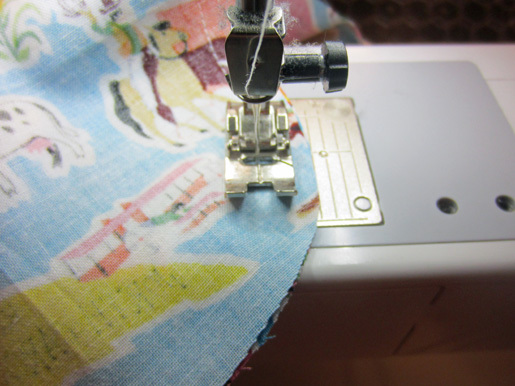 Stitch together using a 1/2ʺ-wide seam allowance, leaving a 3ʺ to 4ʺ opening for turning. To ensure a smooth exterior, clip the curves around the edges of the pillow. Be careful not to cut into the stitches at the seamline! Turn the pillow right side out through the opening. Step three: Stuff and close the pillow. 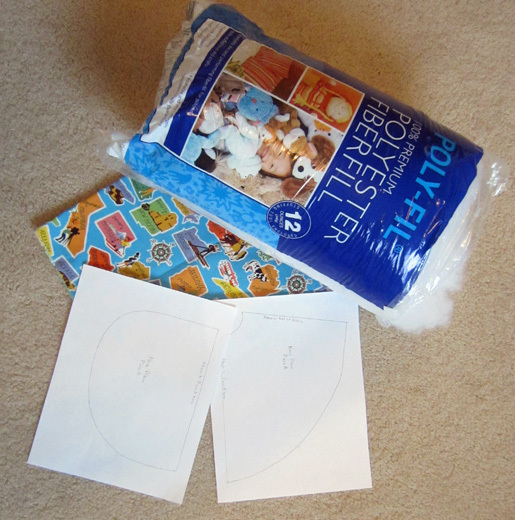 Fill pillow with polyester stuffing to the desired firmness. 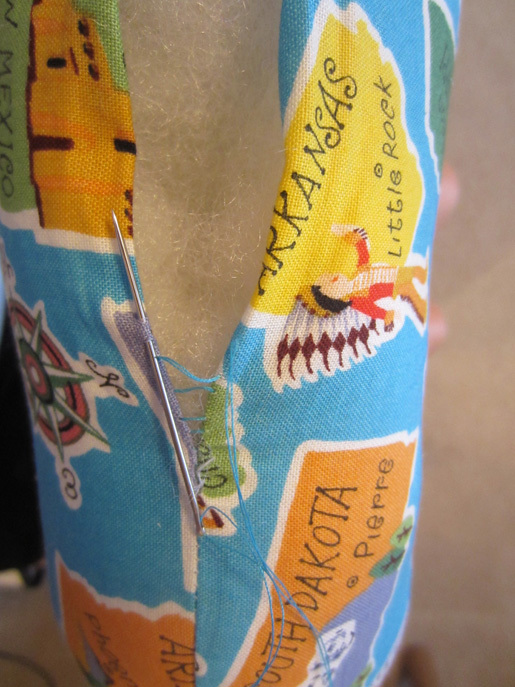 Using a hand sewing needle and matching thread, slipstitch the opening closed. 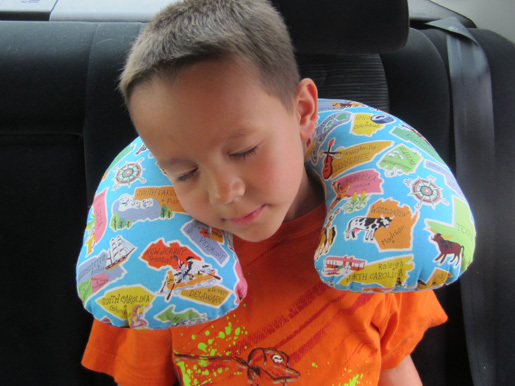 Transform your neck pillow into a cozy spa wrap! 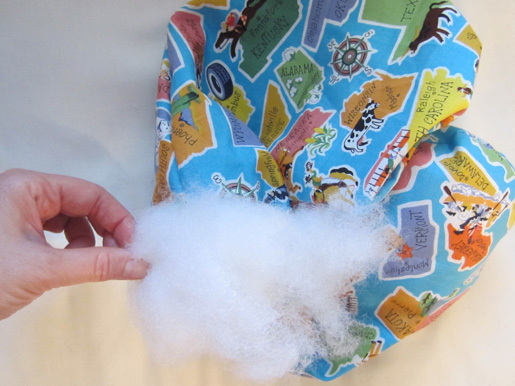 Instead of polyester stuffing, fill your pillow with uncooked rice scented with an essential oil such as lavender. 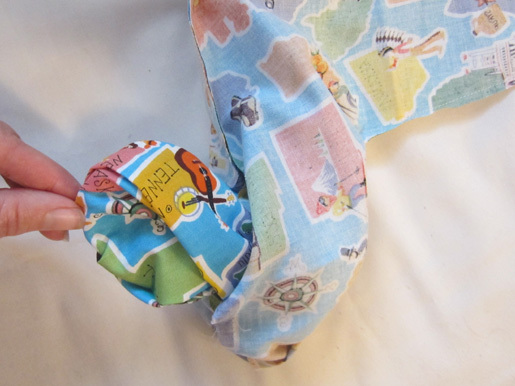 Place pillow in the freezer for a refreshing wrap, or microwave 1-3 minutes for soothing heat. Pair with Stacy’s Sleep Mask for your next spa day! 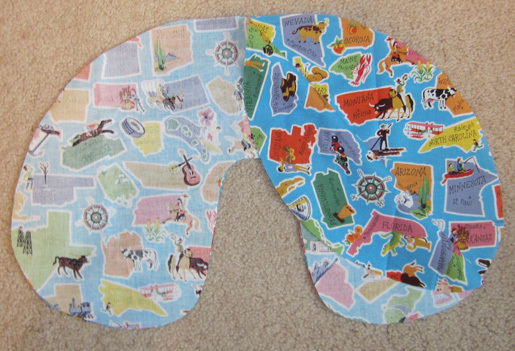 Where did you find this fun fabric?! I found this one in the novelty print section of Joann’s…. I couldn’t resist picking it up, it seemed perfect for this project!